Stop by and meet Evangelia and view her wonderful art collection. Many of her pieces are also available for purchase during the weekend. 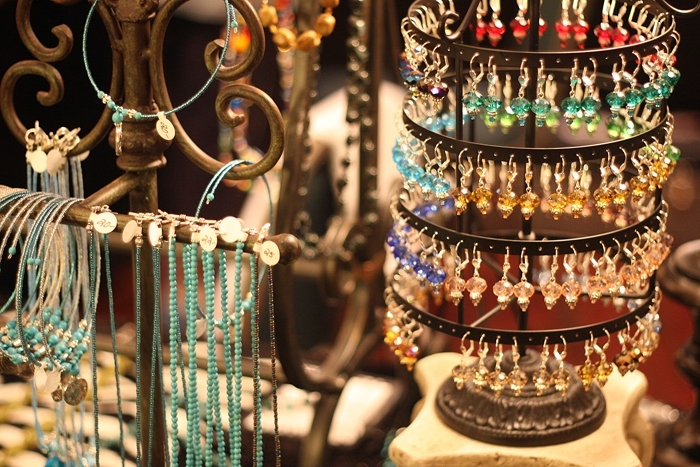 A gift boutique featuring many beautiful Greek items for sale from Hellinis Imports. Just browse or select a beautiful gift for yourself or someone special. 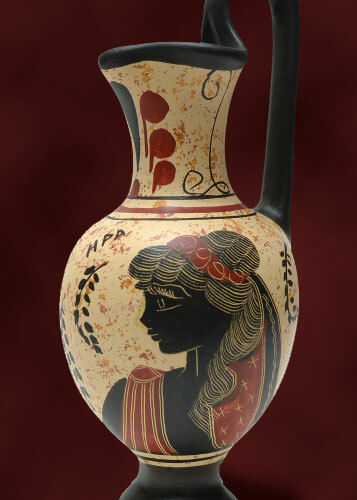 There are blouses, statuary and vases representing ancient Greek artifacts. Greek dolls, silver icons, and jewelry await your inspection and invite ownership. A Greek grocery store where you can find a variety of packaged Greek foods and spices for sale. Greek herbs, cheeses, ripe olives, filo (struedel) can be purchased to help you make your own delicious Greek meal at home. Select from many items to satisfy your spiritual and educational needs. We have a fine selection of Bibles and religious books for adults and children, both in English and Greek. Find beautiful icons, votive lamps, incense, cards and jewelry. The bookstore is located in the old Chapel. An exciting collection of fine gold and silver jewelry that includes cross pendants, earrings and necklaces from Greece. Featuring the art of a number of local artists from our own Annunciation Cathedral parish. 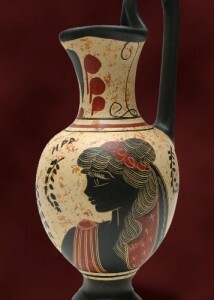 This art will include beautiful photographs of Greece, Greek clay pottery and more. Stop by, meet the artists and peruse their work. Featuring limited edition original watercolors and giclees of Greece by artist Pantelis Zographos. Featuring imported linens, silver and custom jewelry from Greece. Featuring beautiful handmade pieces using Semi-Precious stones, Lampwork glass beads, Swarovski crystal and good quality findings. 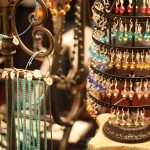 Alexis uses a combination of unique colors, textures and a variety of different beads to create wearable jewelry at affordable prices. Specialized brass and copper art. Incorporation of precious metals. Many pieces with a Greek theme made by the renowned artist Peter Zoudis. Unique hand carved cultivated olive wood Christian crafts from Bethlehem and the Holy Land. An ancient art form that dates back to the time of the Crusades. Special Shopping Opportunity for Clothes, Purses and Accessories hand crafted in Greece. 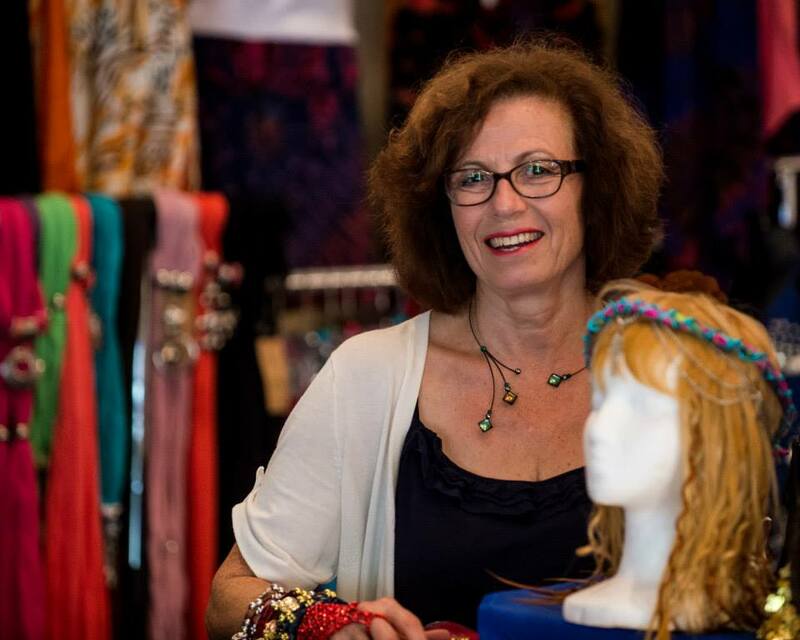 Clothing Line extraordinaire is specially imported by Gillian Belcher, our Vendor, from Greece for our Church Members and guests. All ages and Gender.